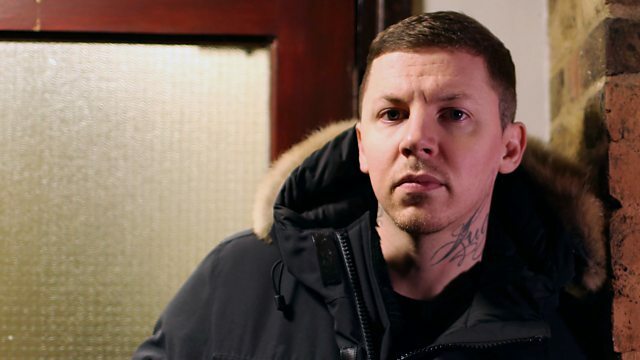 Rapper Professor Green presents an intimate documentary looking at what life is like for young people living in poverty in Britain. In Britain today, one in four children are growing up in poverty. Experts say these figures are predicted to rise by nearly one million in the next five years. Rapper turned documentary maker Professor Green (aka Stephen Manderson) has done well, but he grew up in a home where there was a lot of stress over money. In this intimate documentary, he sets out to uncover what life is like for young people living on the breadline today. Over a period of months, Professor Green spends time with ten-year-old Kelly Louise, whose family have just been evicted from their home. They can't afford a deposit on a new property, and facing the possibility of being homeless, Kelly Louise's life is turned upside down. He also follows the story of 14-year-old Tyler, who has been living in cramped emergency accommodation for 18 months. Professor Green is witness to the damaging consequences of poverty on Tyler's life now and his future.